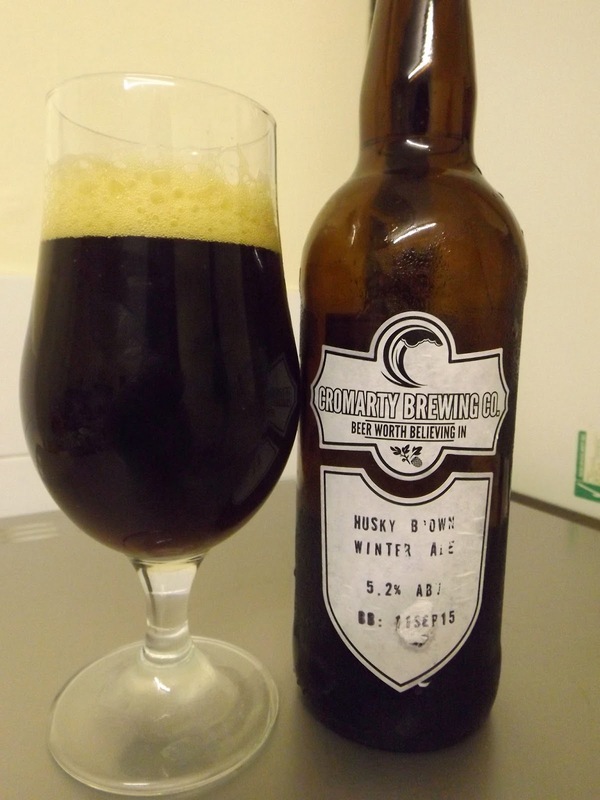 It’s no secret that I love a bit of Cromarty beer. Since first trying them on a visit to the Black Isle, I’ve been desperate to find it down South and, finally, I’ve started seeing them all over the place. Thank goodness, Happy Chappy whenever I fancy! Anyway, enough gushing. 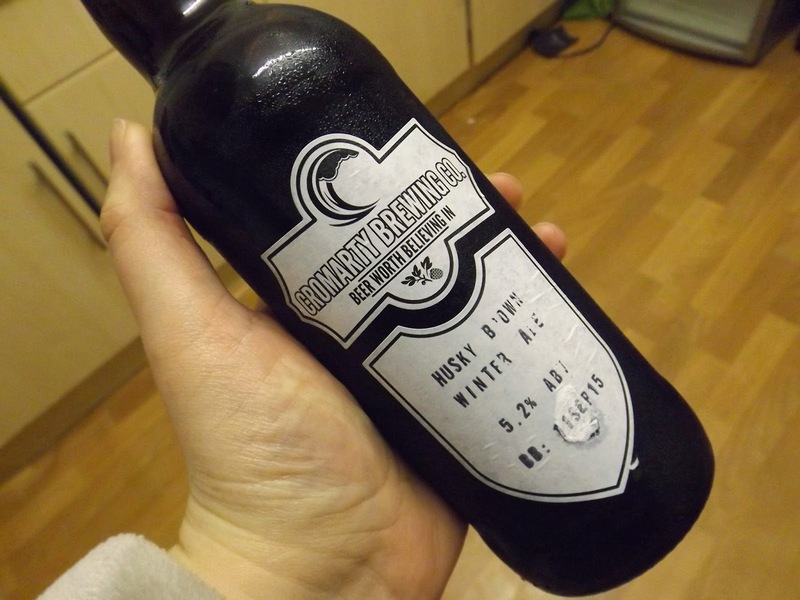 At Christmas I was lucky enough to receive this little gem; Husky Brown Winter Ale (5.2%). I thought about saving it, which lasted all of 5 minutes. Beautifully dark, with a large fluffy head (just look at those bubbles! 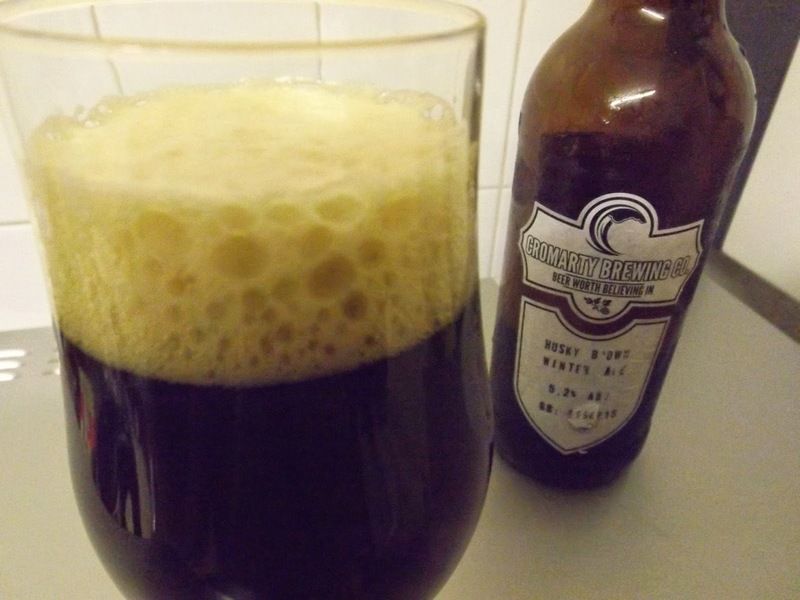 ), the aroma was of strong roasted coffee and dark fruits with a hint of toffee sweetness. It was much lighter in body than I was expecting, which made it all the more drinkable for me. For its ABV it certainly packed in the flavour; the roasted, nutty coffee came through strongly and a sweet, spicy hint of chocolate balanced it out. 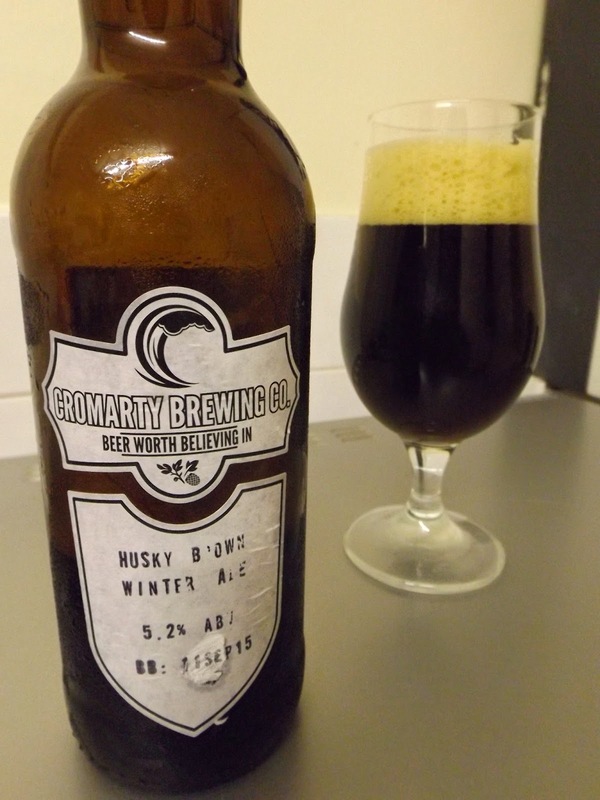 Overall it’s another winner from Cromarty Brewing Company and I can’t wait to sample the exciting brews they’re bound to make in the future (as long as I have a steady supply of Brewed Awakening, that is).